Think the Ouija board is just a game? Think again. For more than a century, the Ouija board has attracted the attention of a wide variety of people: paranormal thrill-seekers, adventurous adolescents, temperamental teens, tipsy party guests, and even curious skeptics. 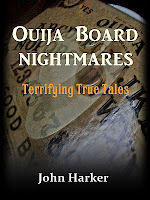 Most of the time, those who dabble with the Ouija or other spirit boards experience nothing out of the ordinary. But many times that's not the case. And many times that extraordinary experience isn't just strange, but downright terrifying. 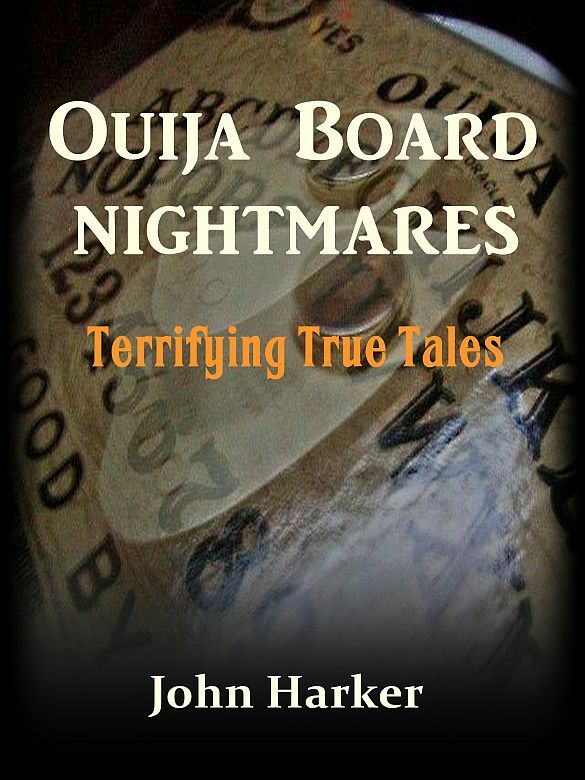 Ouija Board Nightmares takes a look at some of those terrifying experiences, which range from nightmarish manifestations to actual physical assaults and demonic possession. While part of the author’s intention is to inform and engage with these scary accounts, the main objective is to warn. While the Ouija board may be marketed as a harmless game, it is indeed neither. If the accounts in this book don't convince you of that, then nothing will. Interest in the occult is at an all-time high, and that means more people than ever are turning to Ouija boards to explore the world beyond this one. The problem is, the Ouija board is a magnet for attracting any and all dwellers of that world—human and demonic—and an invitation to those spirits to cross into the human realm. Can this ever be a good thing? The victims whose stories are told in Ouija Board Nightmares 2, and the experts cited throughout the book, would resoundingly answer no. These accounts are fascinating and provocative, but with them comes a warning: Ouija boards are dangerous and the entities they attract can make your life, and the lives of those around you, a living hell. Read them with your mind open, your eyes clear—and your lights on. Can dolls really become haunted? Can demons take possession of people’s playthings? According to a large number of paranormal investigators, exorcists, and demonologists, the answer is a resounding yes. Not only are such phenomena possible, they happen fairly often, with dolls being one of the most frequent targets of spirit attachment. Sometimes those spirits are benign, or at the most mischievous. But many are outright evil and dangerous. 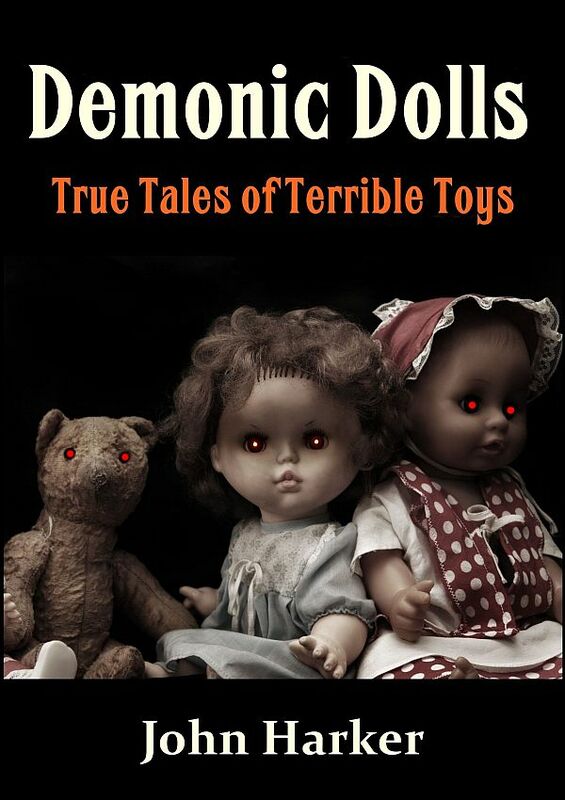 This book examines some of the world’s most famous haunted dolls. Some you may have heard about. Others will be new. All will make you reconsider the world you thought you knew. Robert, the haunted doll from Key West. A lot of the information out there about him is wrong. Find out the truth behind the legend. But don’t think the truth is any less terrifying. Annabelle, the demonic doll featured in the movies The Conjuring and Annabelle. Find out why the real Annabelle is much, much more frightening. Peggy, the Internet sensation. Why you should think twice before looking at her picture. 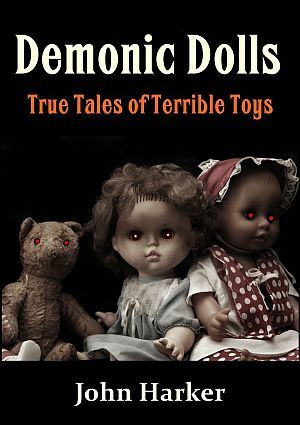 Find out which doll started as a hoax, turned into a terrifying reality, and is now considered one of the most "active" haunted dolls in the world. Discover which exotic locale and tourist attraction is a pediophobe’s biggest nightmare. You won’t believe such a place exists. Clown dolls. Need more be said? The occult is many things to many people. For some, it’s a path to enlightenment. Others find it a source of personal transformation. And still others consider it a doorway to the devil. But while distinctions can be drawn and argued all day, what can’t be argued is this: the occult is dangerous. It opens channels that are best left closed. It attracts entities that don’t play by the rules. And it demands more—always more—than what was bargained for. 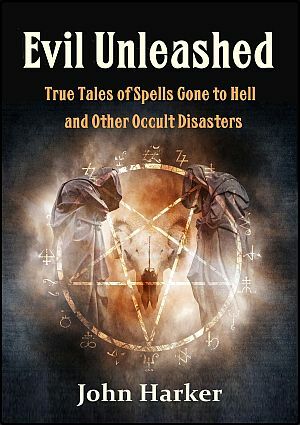 These true-life accounts reveal the heartache and horror that can occur when people participate in the occult – be it witchcraft, Ouija boards, white magic, or black magic – and knowingly or not, release dark spirits into the human realm. Dabbler or devotee, it doesn’t matter how deeply one is committed or involved. Once evil is unleashed, it treats everyone the same: hellishly. Astonishing true stories of paranormal nightmares! 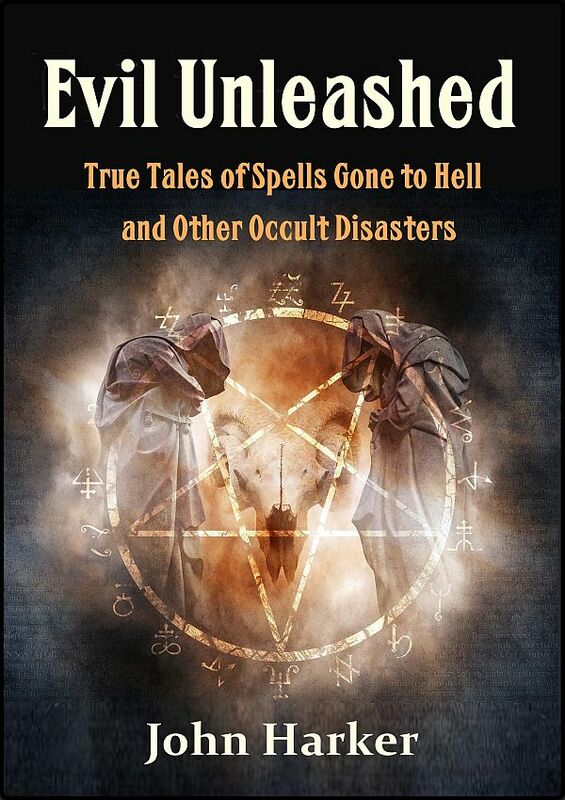 From devilish dolls and haunted Ouija boards to witchcraft disasters and doomed demonic deals, True Tales Trilogy covers a wide spectrum of occult encounters that end in horror, hardship, and tragedy. If there’s one theme that runs throughout this compendium, it’s this: If you play with fire, you’re going to get burned. 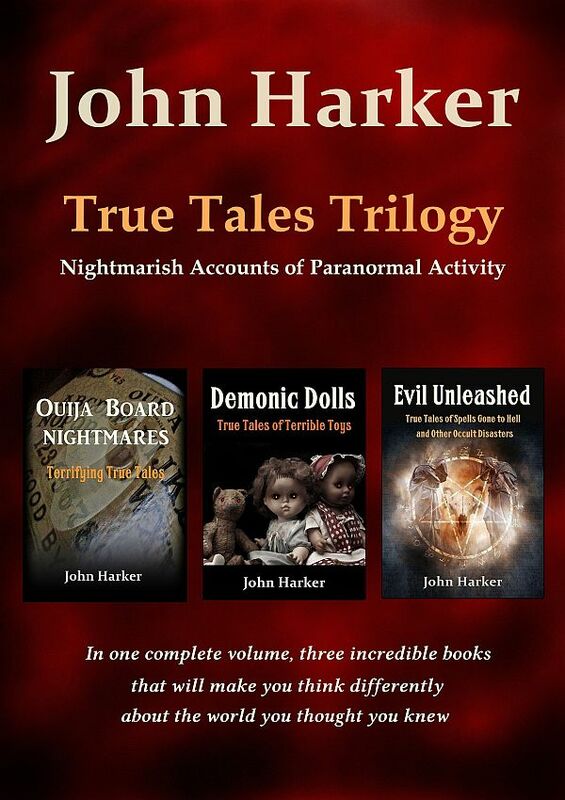 In the tradition of paranormal experts and authors Gabriele Amorth, Ed and Lorraine Warren, and Zak Bagans, True Tales Trilogy author John Harker engages the reader with thrilling accounts of demonic and ghostly activity while at the same time offering warnings and advice to those thinking about dabbling in, or already ensnared by, the occult. Have a Ouija board in your house? Thinking about trying one out? You won’t after reading this book. 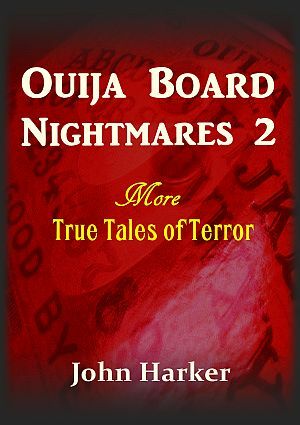 Containing the full editions of Ouija Board Nightmares 1 and 2, this newest compendium offers a sweeping thrill ride through the mysterious and hair-raising world of the Ouija. Real-life encounters with strange and terrible entities drive these tales of unearthly obsession, frightful oppression, and terrifying possession. Though the Ouija board may be marketed as a game, there are no winners in this activity. Only victims. 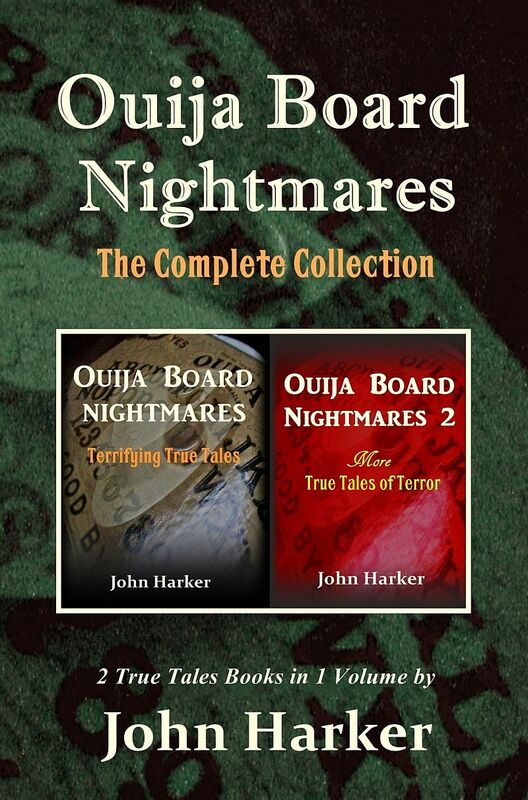 Fans of the paranormal, would-be dabblers in the occult, skeptics as well as believers will find Ouija Board Nightmares: The Complete Collection an entertaining if not cautionary reading experience. The chilling stories told within its pages may confirm your own suspicions, or open your eyes to a dark and dangerous alternate reality. One thing is certain: they will not be soon forgotten. Nightmares rarely are.